THOUSAND OAKS, CA (WVUE) - The Rams are perceived as a finesse team, throw the ball a lot, but that’s not the case. Last week against the Cowboys, they had two running backs go over a 100 yards in C. J. Anderson and Todd Gurley. “The last three weeks it’s been a credit to our ability to sustain some drives, and stay ahead the chains. So you can get some more runs off. C.J. (Anderson) has done an outstanding job. I’ve been so impressed with his ability to come in here immediately, and pick up the system. He’s also a great runner. He’s got a great feel for leveling things off. He’s got quick feet through the hole. 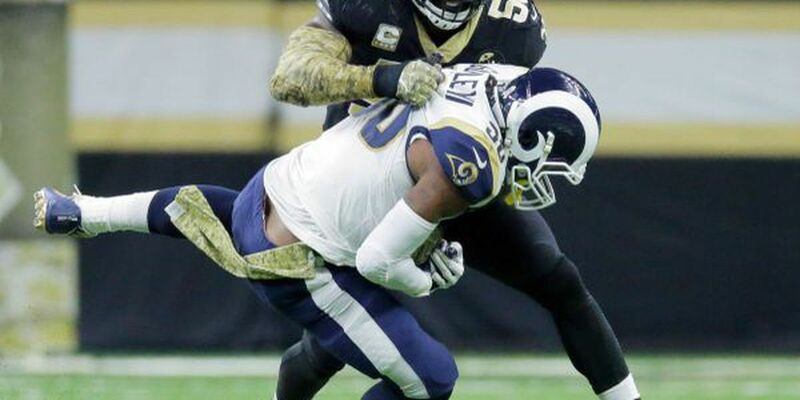 When he gets to the second and third level, and he always falling forward,” said Rams coach Sean McVay. This will be an interesting matchup with the Saints run defense against the Rams. The Saints haven’t given up a 100-yards to a running back in 25 straight games.